It should come as no surprise that the Internet is now the primary way most U.S. consumers find local business information. But not all of that information is accurate. According to the latest research report from Yext, businesses are losing $10.3 billion annually due to outdated online listings. In December 2012, Yext surveyed more than 1,000 U.S. adults and found that 42 percent relied on search engines to find local merchants. Analysts looked at 40,000 business listings on more than 50 sites and discovered that 43 percent of listings had at least one incorrect or missing address and 37 percent had an incorrect or missing name. “Though real, the impact of bad business information is mostly invisible to everyone in the ecosystem but the consumer — who simply gives up or find another place to spend her money,” stated Greg Sterling, one of the analysts who conducted the study. An incorrect address or missing information could drive potential customers to competitors, resulting in a huge loss for retailers. According to the study, 47.6 percent of respondents had a negative reaction upon finding incorrect information. Although 22 percent said they won’t trust that source again, 15.1 percent admitted that they would look for another merchant. An additional 10.7 percent said that they felt angry because they wasted their time. “Despite their popularity most internet sources, including search engines, directories, and mapping sites, are full of errors and outdated information,” read the study. If you’re an agency representing a franchise or several, make sure that your clients’ contact information is up to date across multiple sources, not just social profiles. 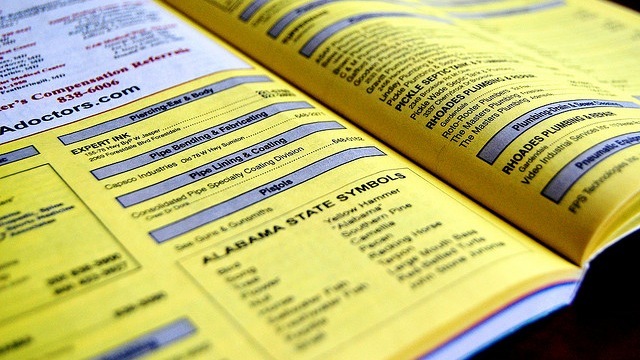 This includes, but isn’t limited to online databases and even print Yellow Pages.